Earn high commissions on individual new sales, group plans and renewals. Monitor all of your activity through your personal DP Broker Back Office. Dedicated support – We’re here to help! Since 1999, we've helped over a million people retain or reclaim their healthy, bright smiles with dental savings plans, the affordable alternative to traditional dental insurance. 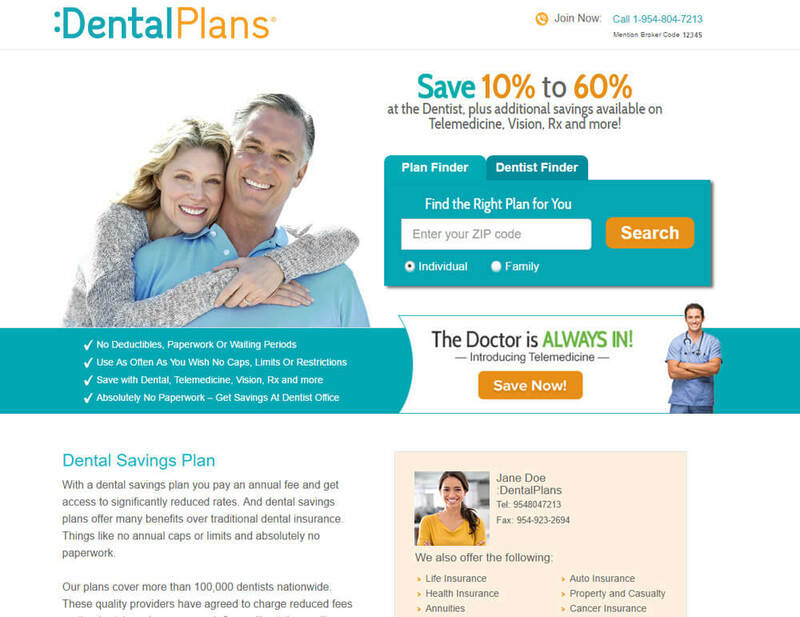 With :DentalPlans, your clients receive quality dental plans at a price they can afford. We take pride in our Customer Service and Member Care. 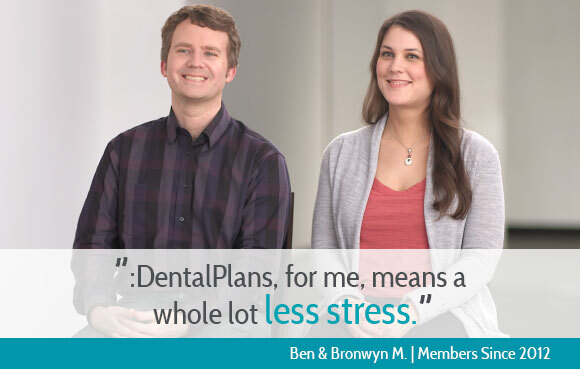 With superior service, choice and plan flexibility, DentalPlans is your one-stop shop for all things dental. What Are Dental Savings Plans? A dental savings plan functions a lot like a membership at a warehouse club. Your clients pay an annual fee and get access to significantly reduced rates. Dental savings plans offer many benefits over traditional dental insurance. Things like no annual caps or limits and absolutely no paperwork. Your clients choose from 40+ different plans from the healthcare brands they already know and trust like Cigna, Aetna and more. We have affordable plans to fit any need and budget. And, depending on the plan they choose, they'll save 10% to 60% on their next visit. 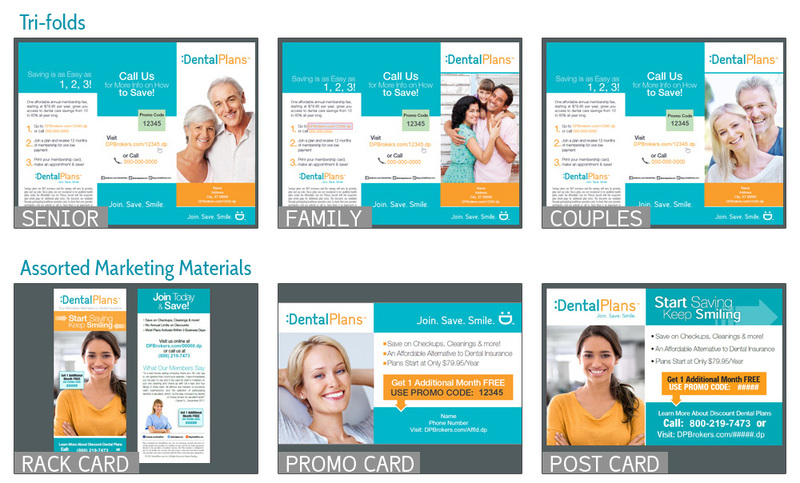 Our plans cover more than 100,000 dentists nationwide. These quality providers have agreed to charge reduced fees on the dental services you need. So they will get the quality care they deserve at a bigger savings than they ever imagined possible. The right solution for your dental health care costs may be a dental savings plan, traditional dental insurance or both. Our :DP AtYourService team is happy to help you determine what best fits your clients needs. Dental Savings Plans deliver real advantages to people of all ages and incomes. 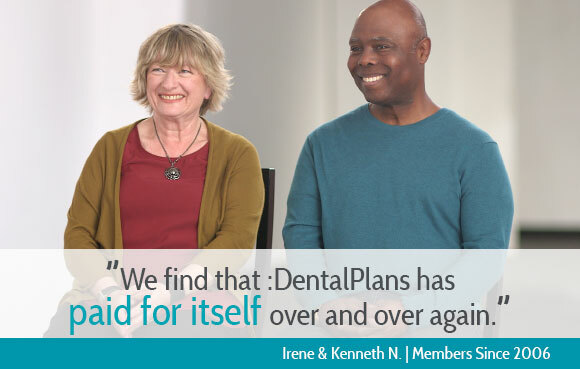 Many of our members have reclaimed their healthy smiles thanks to the savings delivered by their dental plan. They’ve shared their experiences so that others who are suffering with dental issues know that they too can afford quality dental care. Since 1999, we have helped over a million people to get the dental treatment they need – and we love to see their smiles. Are you ready to join the :DP Broker Program? Start growing your business today. Savings plans are NOT insurance and the savings will vary by provider, plan and zip code. These plans are not considered to be qualified health plans under the Affordable Care Act. Please consult with the respective plan detail page for additional plan terms and information on the licensed discount plan organization. The discounts are available through participating healthcare providers only. To check that your provider participates, visit our website or call us. Since there is no paperwork or reimbursement, you must pay for the service at the time it’s provided. You will receive the discount off the provider’s usual and customary fees when you pay. We encourage you to check with your participating provider prior to beginning treatment. Note – not all plans and offers available in all markets.